By Bach's time, the traditional forms of church service had been fundamentally altered by the Reformation, and in German churches Latin had yielded to the country's own language. To an extent, however, the Latin mass text did remain in use in Protestant church music – in particular the Kyrie and Gloria sections. Albeit incomplete, this form of mass setting was termed ‘Missa’; nowadays the pieces are often referred to as 'Lutheran Masses'. Bach's famous Mass in B minor, later expanded into a complete mass, began its existence as a work of this kind, and four other examples from Bach's pen have survived. 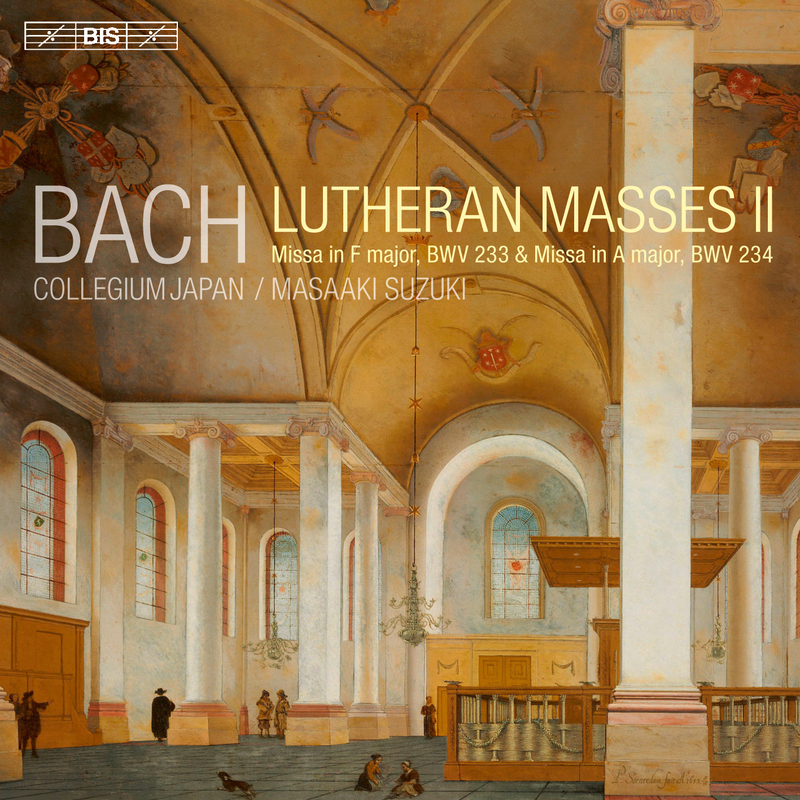 The recent release of the Missae in G minor and G major (BWV 235 and 236) caused the reviewers in Gramophone and Fono Forum to eagerly look forward to the sequel, and Bach Collegium Japan and Masaaki Suzuki have not kept them waiting. Like their companion works, the two Lutheran Masses recorded here make extensive use of earlier compositions by Bach and include reworkings of arias and choruses from cantatas, but each of the four masses also has its own unmistakable artistic profile. The most telling detail on the present disc is the instrumentation, where Bach’s choice of flutes in BWV 234 and of horns and oboes in BWV 233 contributes to the individual character of each work. In his task of supplying the music for church services Bach also performed music by other composers, among them Marco Gioseppe Peranda whose Kyrie-Gloria mass closes the disc. Born in 1625, Peranda trained in Rome, and was active in the Dresden Hofkapelle from the 1650s until his death in 1675. Copies in Bach’s hand of parts of Peranda’s splendidly contrapuntal Missa in A minor exist, and it is likely that Bach performed the work during the latter part of his Leipzig period.